Two years had passed since I’d visited the wee Tidbits Mountain. The sinkhole that had been there previously was still there, with the same faded warning sign. I wondered how long that sign warned visitors to steer clear. Guess the Forest Service just hasn’t gotten around to doing anything about it. This time I brought Aaron. We went low-tech on the shoes for this hike. He wore his Vibram Five Fingers and I wore my Xero sandals. They were almost immediately annoying as the back strap kept sliding below my heel and I frequently had to adjust it. Stupid primal technology. 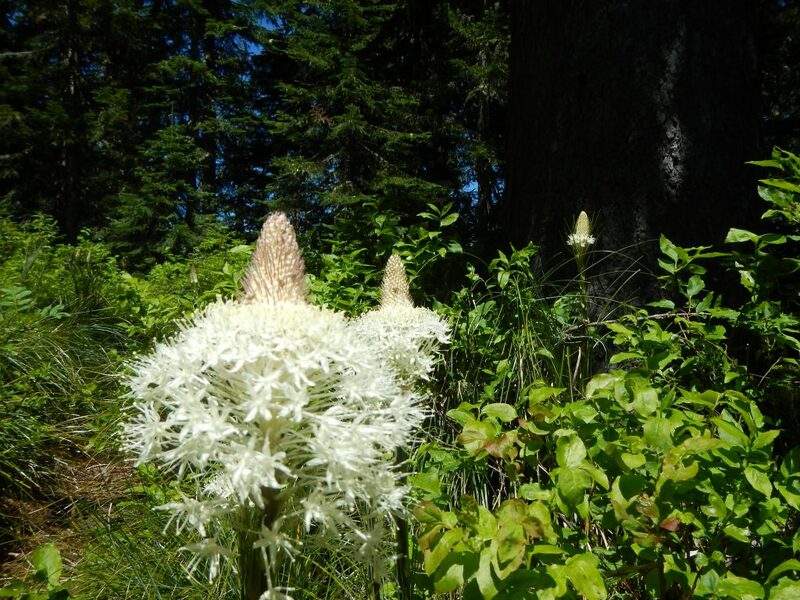 Otherwise the hike began in a lovely, sunny forest with flowers in bloom everywhere. 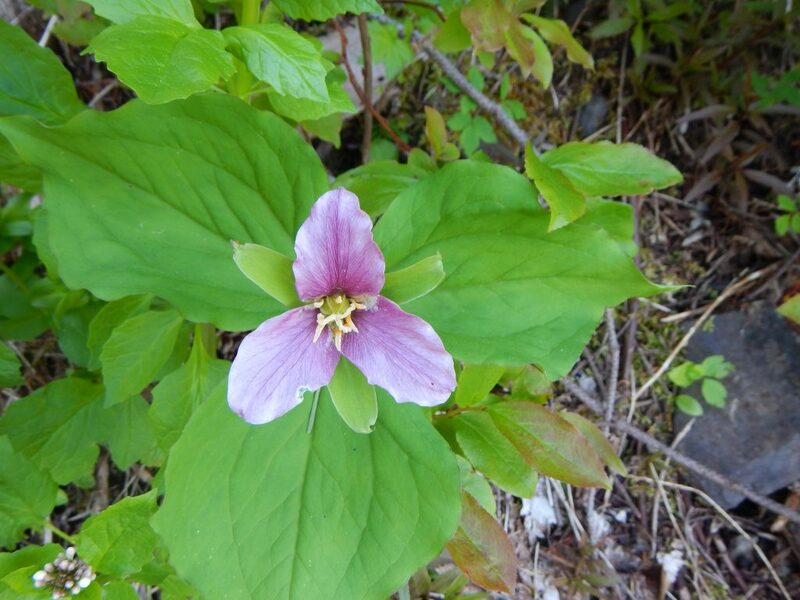 There was beargrass, rhododendron, trillium, paintbrush, phlox and other colorful things. 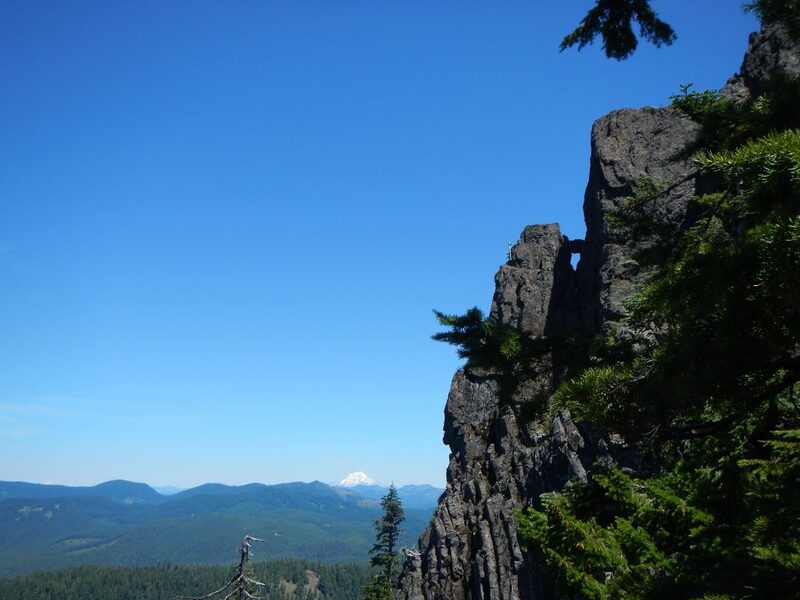 When we reached the rockslide, the views opened up to the surrounding peaks as well as the summit block of Tidbits Mountain. On our final scramble to its rocky top we passed through a rock garden with penstemon, stonecrop and little daisy-looking flowers. The views were spectacular and we thoroughly enjoyed a rest there. Remains of an old fire lookout were scattered about the top of the peak. We poked around a little before returning down the trail. It’s nice to revisit places you’ve been before, especially in a different season. When I came here in the fall, the flowers had all gone. Today, they were in their prime. It’s also nice to share special places with the people in your life. My first trip was solo, and today I brought Aaron. He enjoyed it as much as I did. And to take someone who grew up here to a place he’d never been…priceless. 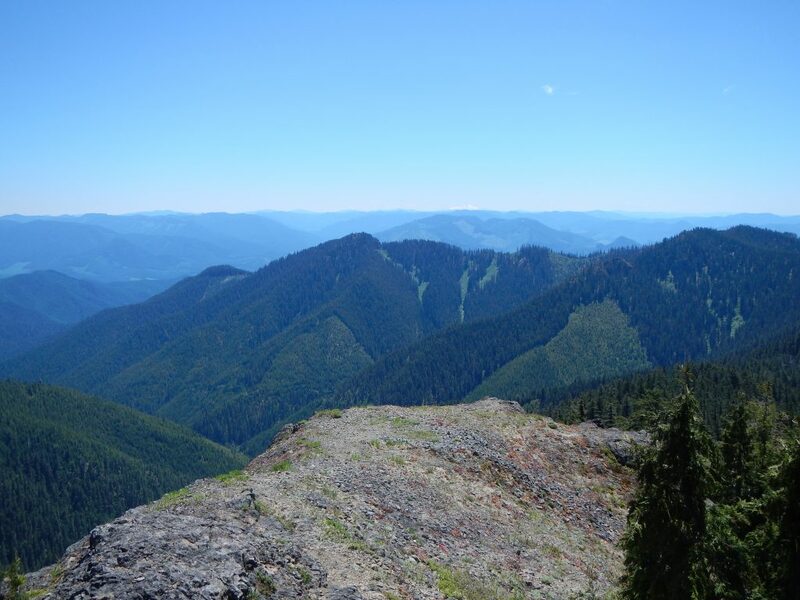 This entry was posted in Hiking, Oregon and tagged hike366 on June 7, 2015 by Jess B.